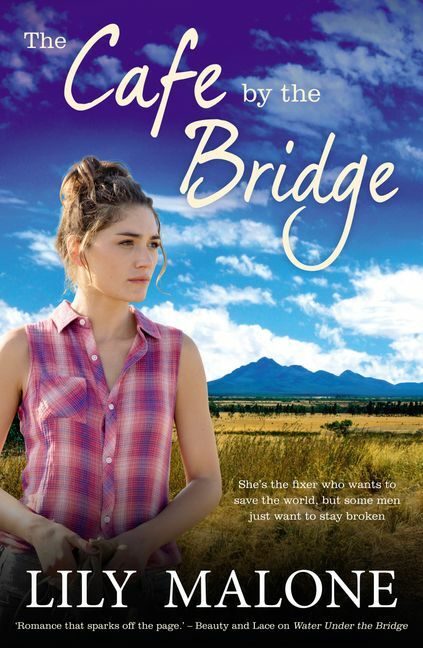 Fresh and down-to-earth in style, Australian author Lily Malone returns with a sparkling new 'Chalk Hill' romance that will appeal to all romance readers, from contemporary to rural romance. Perfect for readers who love Rachael Johns. Child psychologist Taylor Woods needs a man. Flashy restaurateur Abel Honeychurch to be specific. Abe can help her get justice for her brother, Will. Taylor knows Abe, too, was scammed by the same woman who broke her brother's heart and stole everything in his pockets. But bringing a lying, cheating scammer to justice isn't easy when all Abe wants to do is forget the whole sorry saga. He's returned to his home town of Chalk Hill to lick his wounds and repay his debts, renovating his nanna's house and opening the Chalk 'n' Cheese cafe. He's miserable. And it would be easier to stay miserable if everyone else around him wasn't so darn cheerful. It's wildflower season in Chalk Hill with a cafe full of upbeat bushwalkers, and it's all Abe can do to remember to put sugar, not salt, in his customers' cappuccinos. He definitely has no time for the mysterious red-headed guest who admires his cheesecake and adores his flat white. Taylor's mission to help her brother seems doomed - how will she gain the trust of a man whose every instinct tells him never to trust a woman again?